Do you want to go vegan but don’t know how? We have good news for you: being vegan is far easier than you think! Here are some simple plans for you to choose from, that will help you transition at your own pace. Don’t get distracted by going vegetarian first, forget Meatless Mondays, don’t invest your time in switching to so-called free-range animal products. These approaches are all doomed to fail, as they have absolutely nothing to do with being vegan. If you want to be vegan, then take vegan steps. 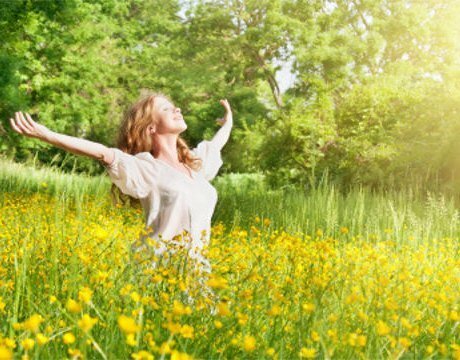 Why Vegan Steps… Do you want to be healthier? Do you care about animals? Do you want to save the planet? Then take steps that are 100% vegan. Even if you start with one vegan meal a week. Learn something new about veganism every week and then apply this new knowledge in your life. Start making changes today and you will receive the benefits of health and peace of mind immediately. Before You Start… remember that the disadvantage of transitioning towards being vegan and not doing it right away is that people will pick on you for not being consistent. Never allow anybody to undermine the efforts you are making to be vegan. Every time you refuse an animal product — as long as you are replacing it with a vegan option and not another animal product — you are saving an animal’s life. If the idea of being vegan interests you, then you have reached a point in your life where you are questioning your current lifestyle choices and/or belief systems. Launch an investigation into what veganism is all about so that you can make an educated decision. Start Your Elated Journey Today! A good place to start is right here: Elated’s website is designed as a vast resource library that has all the information you need to become an ethically and compassionately awakened consumer. Meet a Farmed Animal — Do you have any farm sanctuaries where you live? Take a drive out and meet the rescued animals. Hear their stories. Get to know their personalities. Watch Videos — There is a wide variety of videos that will take you all week to watch, so you will not run out of options. You can select from uplifting vegan videos or you could choose to discover the truth behind animal agriculture. Visit a Farm or Slaughterhouse — Don’t you believe it? Find out if the stories are true by going to the source. Ask them to visit at times that they don’t allow access and then question why they don’t want you there at those times of day or year. The answer might surprise you. Get to know the truth because you are paying for it with every meal you have. Read Articles — Get to know how our actions impact animals in every area of our lives and invade every aspect of theirs. Vegan Health — Find out more about being healthy on a vegan diet and how not being vegan can endanger your health. Environmental Impact — Take a look at the environmental impacts of not being vegan. Vegan Food — Get to know the wide variety of vegan foods that will be available to you on a vegan diet. Other Vegan Sites — Still didn’t find what you are looking for? Take a look at these links to other vegan websites. If you still can’t find the information you are looking for, then get in touch with me and I will try to find the information for you. There are many routes you can take on your vegan journey. Here are a few suggestions with practical steps to help you measure your progress. If you have realised that the only way to live in alignment with your own moral compass is to stop eating animal products, then don’t let anything stand in your way: go vegan now. That is often the simplest solution because being vegan is really easy! However, if you would like a more gradual approach, then click the arrows below to try one of the methods to get you started right away. 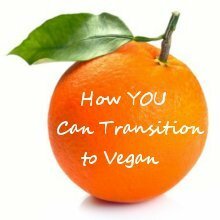 By definition, a healthy breakfast, is a vegan breakfast, so this is an excellent approach to your transition. Start your day with a shot of wheat grass; fruit; muesli and non-diary milk or yoghurt; toast and nut butter or Marmite; or muffin and Cheezly. For a more decadent weekend breakfast, you can dive into savoury tofu scramble and vegetarian sausages, or tempeh bacon with hash browns, grilled mushrooms and tomatoes. After a while, once you have realised that you are still healthy — in fact, you might even feel more invigorated — you will be ready to go vegan for lunch. Pack a lunch for work or college. Investigate where you can buy your lunches on the go. Options include: wraps with faux chicken strips and salad; Cheezly and tomato sandwiches; chickpea, avocado and artichoke salads; bagels with cream Sheese; Vivo’s raw pizza; or vegetable stirfry. You will be overjoyed at the large selection available for your main meal of the day: lentil cottage pie; macaroni (vegan) cheese; pasta with an Ina Paarman sauce; baked potato with ratatouille; Thai green curry; Moroccan chickpea stew; imitation chicken and beef burgers; braai sausages with Cheezly baked potatoes and salad; stirfry vegan chicken strips with julienne vegetables and jasmine rice … the list is delightfully endless. Now that you are almost vegan, turn your attention to finding new ideas for the snacks and treats you pick up throughout the day. All those impulse buys that you never plan … The first step is to start planning! Take fruit and/or fruit juice with you wherever you go. Keep a pack of rice cakes with you. Muesli mixed with rice milk powder can be kept in a sealeable container for a handy snack: add water and it’s ready to eat. Study the route your life normally takes during the day and search out vegan treasures along the way. Then, when you are pushed for time and desperate for a pick-me-up, you will already have your choices mapped out for your not-so-impulse buys. Arriving all bright-eyed and bushy-tailed from our weekends, we will throw ourselves into our new resolutions on a Monday. So start your week with ‘Vegan Mondays’. Take the weekend to plan your day, starting with a healthy breakfast to energise your day. Incorporate all the meals you prefer that are accidentally vegan, and soon, these will be the days you look forward to. Add avocado maki as an afternoon snack; cucumber on corn thins with cream Sheese; Roasted Tomato and Asparagus Pasta; or have something healthy and light, like steamed asparagus, spinach and lentils sprinkled with crushed garlic and flax oil. As you start to enjoy your 1 vegan day a week, you can add Tuesday and make it 2 days a week. Then Wednesday, Thursday and so on… Being true to your vegan days will give you a clearer comparison of what it means to be vegan. If you are living with people who support your choice, and you are able to proceed at your own pace, you might be surprised at how quickly your 1 vegan day turns into 7! Think about it and you will discover you already know a few stunning vegan meals. Use these to build your meal plans. Then choose 3 days: Monday, Wednesday and Friday, to make your 3 vegan days a week. Having vegan breakfasts is a simple and healthy start to your day: fruit; muesli; or nut butter on toast. Quinoa porridge and tofu scramble are also terrific breakfasts. Choose 3 vegan meals you like the most for your 3 lunches. You can plan your meals-on-the-go and prepare them ahead of time, for example Chicken-less and Mushroom Pie. Or you can find the vegan options at one of your favourite restaurants. Think of 3 meals you enjoy that can easily be adapted by replacing the animal products with veggie alternatives and make those your dinners. For example, use borlotti beans instead of mince. Try out a Simple Cheesy Lasagna. Add a hemp protein and fruit smoothie as your snack. Or dispense juice into a portable container and freeze it overnight. Take it with you to work or college so that it will be defrosted and icy cold when you are ready to drink it. Start experimenting with new ideas and recipes to add another 2 days to increase your vegan days to 5 days a week. Perhaps you would like to add Saturdays and Sundays, as you will have more time to experiment and shop for vegan meals during the weekend. It always helps if you have like-minded friends or family, so try to get someone else excited about your life choice, and you can take turns preparing new dishes. Try out the vegan cheeses. Make a vegan chocolate mousse. Make it fun! After being vegan for 70% of your week for a few weeks, taking the next step will feel quite natural. You will have had enough time to create vegan versions of your best dishes. It will take between 10 days and 3 months to adjust to the new taste sensations. So the sooner you go vegan, the sooner you will stop drowning your food with salt and sugar. By now you will have reached consensus with your family and/or partner on how to integrate veganism into the household. So take the plunge! Add the last 2 days of your week and go vegan. You avoid the ingredient you have chosen in any product you consume. You actively look for vegan substitutes and implement those products into your life. Let’s say you choose to stop using dairy butter. Carefully scrutinise ingredient lists for any butter and do not consume products that contain it. Give away all the dairy butter you have in your house. Visit your local stores and find a suitable vegan margarine, or use this fantastic recipe for vegan butter. Use the alternatives you have chosen, exclusively, in everything you make from now on. Choose another product to substitute. How about eggs, for example? Because vegan products are only now beginning to appear in mainstream stores, you will probably need to request egg-free baked goods from the store managers to let them know there is a demand for them. However, there are so many replacements for eggs in cooking and baking that this will be a straightforward step if you do your own baking. Experiment with the different suggestions and find which one works for you. You might find that flax eggs work well in one instance, while apple sauce or silken tofu are better suited to other recipes. Next swap out dairy milk with rice milk in your cereal, soya milk in your tea, coconut milk in your coffee and/or Orley Whip in your hot cocoa, as you discover which combinations complement each other best. You could also decide to take a look at the ready-made products that you use regularly and veganise them. For example, hot chocolate contains mostly milk powder. Replacing it with pure cocoa and a vegan rice milk powder is not difficult and will give you far more control over how chocolatey you want your hot chocolate to taste. Swap out your Friday burger night with your local vegan range of faux meats (Fry’s Traditional Burgers for example), or check out the wide variety of other vegan meats available online. Eventually, so much of your diet will be vegan that you will feel silly eating animal products, instead of the other way around! What is your biggest food obstacle to being vegan? Is it cheese? Is it burgers, or chicken? Why not face the challenge head on by veganising them first! Write a list of your favourite meals. Put your heart into creating delicious vegan replacements. Visit our vegan substitutes page; try out our vegan recipes; investigate your local health shops; and check out the vegan ranges in your local supermarkets — you will find amazing solutions! Being vegan really is easy. Just give it an honest try. Remember why you are doing it and make an honest effort. We can guarantee that although your new vegan dishes may not taste or look identical to your old non-vegan dishes, they will be healthier, cruelty-free, 100% cholesterol-free, often more colourful and even more mouth-watering! Now that your favourite things are taken care of, the rest will be a piece of vegan cake. Right? Home is where the heart is. It is safe for you to be morally consistent in the privacy of your own home. Spring clean your kitchen. Pack up all your non-vegan food and give it away to the needy. Then go on a shopping spree! Fill your home with appetising vegan snacks, fresh fruit and vegetables, dried fruit and nuts, legumes, grains, vegan cake mixes, vegan Thai curry pastes and coconut milk, pastas and pasta sauces, corn thins and hummus, ready-made vegan meals, dairy-free frozen dessert and Alpro custard, sushi rice and nori. Be creative and find as many exciting menu ideas as you can in your supermarkets and health shops. Top up your trolley to the brim with vegan goodies! Being vegan might even save you money. Once you have adjusted to your new routine in the refuge of your personal life, you will have built a stable foundation on which to base your vegan lifestyle. Explore the vegan offerings at restaurants in your area. Invite friends round for a vegan dinner. Take vegan picnics to the beach or on hikes. Start packing vegan lunches for work and college. If you have a kitchen at work, then store snacks where they will be easily accessible to you throughout your work day. In time, your vegan philosophy will enliven your whole life. And you will inspire others to join you. Do you have a kitchen at work with space you can safely store some items of your own? Then take advantage of this benefit by keeping a couple of snacks like corn thins, Marmite, powdered rice milk, nuts and dried fruits, muesli, or canned chickpeas. Then plan your days. Does someone prepare your tea and coffee? Let them know how you would prefer to take it now: either black or with the pre-mixed plant-based milk you have set aside for the day. What snacks did you regularly enjoy? Explore your options. Take in a tub of hummus, or be the envy of the office with fancy vegan cheeses. Make it an adventure. Prepare your lunches at home. This can be as simple as popping frozen vegetables, already in a glass sealeable container, into the microwave for 4 minutes before you leave home and then adding a can of legumes; you could create something more exotic the night before; or pick up pre-packed salads from Woolworths on your way in. If your Monday to Friday mornings entail rushing off to a busy work day, quick and easy breakfasts are a requirement. Veganising them ensures they will be nutritious too. Alternate the Essential Early Morning Green Smoothie, fresh fruit and muesli with plant-based milk or vegan yoghurt. Sunday to Thursday, you will probably want to get an early night and already be preparing your mindset for work. Why not prepare double volume supper and pack a portion ready for your lunch the next day? It will save you time. Make your whole evening vegan from 6pm till bedtime. Replace evening snacks with vegan alternatives and enjoy a mug of warm rice milk flavoured with cinnamon. Filling your evening with cruelty-free foods will create a tranquil and focused state of mind that sets you up for a restful night’s sleep and a productive day at work. OK, there is something holding you back from being totally vegan, right? Identify the culprit. What about it has you ensnared? Are you battling to give up dairy? Is it a specific meal or eating habit? Is relaxing on the couch with comfort food, your favourite way you unwind from a stressful day? Invest some time and energy in veganising your vegging out. Consciously focus on this specific issue. Experiment with different recipes and replacements. Focus on the textures, flavours and moods they induce and then find healthy, vegan foods that will mimic those responses. You can do it if you put your mind to it! From here, it will be a simple step for you to veganise your home. Undertake a home recce and remove every single item of food that contains animal products. Be ruthless, you don’t want to sabotage your resolve by mistakenly eating something you overlooked. Then go shopping. Stock your kitchen with healthy food staples: a large variety of dry and canned legumes, brown and wild rice, pastas, sauces and condiments, frozen and fresh vegetables, combinations of fresh and canned salad ingredients, a range of nuts and dried fruit, fresh fruit, powdered and ready-made plant-based milks and if your budget extends to include them, a selection of frozen faux meats. After taking this final step you will be amazed at the relief you feel. Your new lifestyle will slot into place quite simply and naturally. Step 3 — Commit to Your New Life! After you have made an educated choice and chosen the transition strategy that will fit your lifestyle, you are ready to make a commitment. Don’t just try; that won’t get you anywhere. Make a firm promise to yourself that you will commit to your new lifestyle choices 100%! Once your diet is vegan, you will want to fill your world with cruelty-free products. Begin by replacing your household cleaning products and cosmetics with items that are not tested on animals and do not contain animal products. If you care about animals then you will not want to wear them either. Leather, suede, down, wool and silk are not vegan, so the next step will be to clean out your closet and begin making different choices when it comes to your clothing and linen. There are no perfect vegans. We are all transitioning towards a more compassionate and morally consistent way of life. What is important is that we are progressing forward and not being sidetracked or fooling ourselves into a false sense of complacency. Whichever option you choose, be gentle on yourself, and allow yourself to grow in a nurturing, positive environment. Guilt is a useless emotion: we cannot undo what we have done in the past, but we can change our behaviour from this point forward. When we know better, we do better. I hope these suggestions help you on your vegan journey! Are you finding it difficult to choose a transition plan that works for you? You are welcome to contact me. 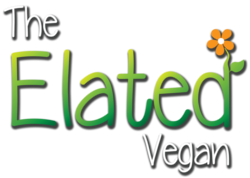 Together we will help you achieve success on your Elated Vegan Adventure!